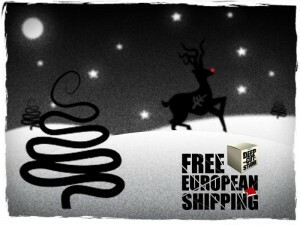 Deep Cut Studio is offering free shipping on orders for those of you in the EU. Isn't that nice of them? Is it holiday season already? Deep-Cut Studio is offering FREE shipping to European Union for their laser-cut buildings. Without questions - of course it's great! Let's go get some!